An excellent extension of the Wool series. Complicated and emotional. 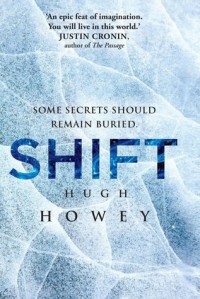 I agree with several of the reviews that say the Shift books are a bit slower and less intense than the Wool books - too true. But still, they are engaging and nicely tie up some areas that were question marks in the Wool books. The first book (First Shift - Legacy) was pretty boring, actually - but in hindsight I see the necessity for the setup. I struggled a litle bit with trying to keep the "when" clear between the stories and where each one fell within the timeline for the Wool series. But, I think that's mostly my hangup and wasn't really needed to enjoy the books (mostly me just being OCD about it). I am glad we found out about Solo's journey of how he came to be where he was when Juliette met him in the Wool series. I can't say I enjoyed it because, truth be told, it was heartwrenching. I'm very much looking forward to the final two books in the series - Dust and Sand. Definitely going on the to-read list.